The Best Gastronomy blogs selected from thousands of Food blogs, Culture blogs and Food Science blogs in our index using search and social metrics. We’ve carefully selected these websites because they are actively working to educate, inspire, and empower their readers with frequent updates and high-quality information. About Blog I’m passionate about good food and gourmet cuisine, and love travelling in quest of the world’s best restaurants and gastronomic trends. In my view, gastronomy is both an art form and a reflection of our civilization and cultural backgrounds. I have discovered that behind every ingredient, every dish, every restaurant, there is always a fascinating story, an exciting personal quest. Facebook fans 10,157. Twitter followers 144. Sydney, Australia About Blog Grab Your Fork is Helen's gastronomic journey through the streets of Sydney and around the world. She is a freelance food writer with a love of cheap eats, offal and fried chicken. Her work has been published in Good Food and Time Out Sydney. Facebook fans 4,484. Twitter followers 7,878. Malaysia About Blog PureGlutton is gastronomy, culinary, travel and all the finer things in life – gluttony at its best by a Malaysian Food Blogger. Facebook fans 1,708. Twitter followers 342. Penang About Blog Born and bred in Penang, Ken Hunts Food is a Penang food blog written by a true Penangite. The blog records Ken's gastronomic journey in search of Penang's greatest street food and finest eats. Join him in his food adventures! Facebook fans 23,033. Twitter followers 203. Hong Kong About Blog Crave is Hong Kong’s modern breed of premium, gastronomic magazine. Inspired by the idea of a foodie's journal, Crave features what's hip, hot and delicious in the world of gastronomy. Facebook fans 19,361. Twitter followers 525. West Vancouver,Bc,Canada About Blog Welcome! Seasaltwithfood offer 800 recipes & 100 videos guides, ranging from appetizers, snacks, entrees to desserts. Here you can learn how to make delicious Malaysian, Thai, Japanese, Indonesian and other country cuisine at home. A journey beyond delicious Asian gastronomic delights! Facebook fans 17,125. Twitter followers 2,020. Salt Lake City About Blog Gastronomic Salt Lake City is Utah's longest running blog covering the restaurant scene in Salt Lake City and surrounding areas. Bringing reviews, news, info and giveaways since 2009, if its worth eating, drinking or knowing about we'll let you know. Facebook fans 3,646. Twitter followers 4,178. Berlin About Blog The food scene is on the rise and part of what has made Berlin approachable for tourists and visitors from all over the world. How is the gastronomic culture developing, and where is it going to lead us in the future? We will aim to provide restaurant reviews or simply share our opinion on the newest gastronomic projects that we have discovered. Facebook fans 20,102. Twitter followers 8,277. Harare About Blog Gastrotravelogue is about great food and destination guides that are useful for when you are not tucking into some delectable treat. I believe that travel is a great way of connecting people, of all cultures, from around the world. Food also has the same way of uniting people and that’s what this blog is about. Facebook fans 2,616. Twitter followers 6,268. About Blog A Singapore food, travel and lifestyle blog. Off the beaten path, hidden finds and gastronomic experiences from a skinnyfat girl's perspective. Facebook fans 1,327. Twitter followers 595. About Blog Esporão is one of Portugal’s leading wine and olive oil producers in Alentejo and Douro. For more than 40 years making the best products from what nature provides, in a responsible and inspiring way. Esporão produces distinctive wines from Alentejo that represent great values. Facebook fans 217,108. Twitter followers 2,800. Berlin About Blog Nomyblog is the online magazine for gastronomy and enjoyment. It reports on topics, trends and tips from the industry: food, drink, going out, enjoyment, new products and good ideas. The publisher is Jan-Peter Wulf . He also writes for gastronomy journals, music and pop culture magazines, and co-founder of the digital magazine DAS FILTER and the content agency more than words. Facebook fans n/a. Twitter followers 1,349. TJ - Los Angeles - THE WORLD About Blog La Cooquette is YOUR destination if you LOVE THE FOOD! I am Maria and I love to eat and cook recipes that are easy and fun! I also do videos of gastronomic trips to discover flavors, cultures and wonderful places. Facebook fans 15,285. Twitter followers 1,791. About Blog My name is Melissa. This blog documents my gastronomic experiences because I am very particular about food and eating is my greatest hobby. I also love traveling with the objective of tasting the best food the world has to offer. Korea About Blog Veronica graduated Switzerland’s Institut Hôtelier César Ritz and holds a Master’s of Tourism degree from Korea. She has over 20 years experience in public relations and marketing for deluxe hotels and the Food & Beverage industries in Korea. Veronica has been conducting Korean Food Tours since 2012 after gaining inspiration from her gastronomy focused travel all around the world. Facebook fans 941. Twitter followers 144. Facebook fans 1,767. Twitter followers 1,321. About Blog I'm Danielle. In my previous incarnation as a food blogger, I spent an inordinate amount of time fussing over the perfect dish, both aesthetically and gastronomically. As a result, I am now the proud owner of almost 1,000 images on WordPress, three Nikon lenses, and a bigger waistline. All of which are growing, slowly but surely, with every post. Facebook fans 1,595. Twitter followers 175. Facebook fans 5,444. Twitter followers 926. Atlanta About Blog AmateurGastronomer.com, an online wine, food, travel and entertainment magazine that features gastronomic adventures from around the world. It was launched September 2008 in Miami and expanded to Atlanta in May 2010. Facebook fans 279. Twitter followers 2,305. Puerto Vallarta, Jalisco About Blog In 1995 Thierry Blouet and Heinz Reize came out with the idea of promoting & upgrading the culinary standards to competitive international levels by interacting with new methods & the creativity of highly qualified chefs. The purpose of this Fiesta is to strengthen the gastronomy of the region as an incomparable showcase to promote the destination through the excellence of its fine cuisine. Facebook fans 9,097. Twitter followers 2,319. Facebook fans 443. Twitter followers 1,285. Milan, Lombardy About Blog Gastronomer is a food and wine blog that is dedicated to the at home gourmand. The concept behind Gastonomer is a simple one, it is to explore food and drink sustainability while having fun. This blog combines Noel's passions, pleasures & motivations throughout her daily journeys in gastronomy. Facebook fans 132. Twitter followers 87. Helsinki, Finland About Blog DISCOVER HELSINKI is an augmented reality (AR) enabled English-language book publication (152 pages) in Finland directed at tourists and domestic travellers visiting Helsinki. The Discover Helsinki publication provides travellers interesting articles on the capital of Finland, the most popular tourist attractions and happenings. Facebook fans 26,117. Twitter followers 235. United States About Blog LOOK & LEARN Recipes, Food, Wine, and gastronomic discoveries. Facebook fans 2,802. Twitter followers n/a. About Blog For those who love spanish food the gastronomy of spain is so rich, each area the food is made in a different way. The aim is to show you how to cook very easy and healthy Spanish food. The gastronomy in Spain is so rich and with a lot of variety, in every home in every restaurant they have their own way to cook. Facebook fans 170. Twitter followers 65. Lebanon About Blog YummyLebanon is a fun, easy to read, yet serious guide into the world of Lebanese gastronomy, our mission is to increase awareness for lebanese consumers. Facebook fans 6,655. Twitter followers 287. Boston About Blog Boston University's Gastronomy program is an interdisciplinary food studies master's program encompassing culinary arts, humanities, and social sciences. The Gastronomy at BU blog is intended to serve the community of current students and alumni of the Gastronomy students at the Metropolitan College of Boston University. Facebook fans 365. Twitter followers 2,025. About Blog All information on the best luxury destination, events, culture fun and activities in Los Cabos. Facebook fans 1,607. Twitter followers 78. Patterson, Putnam County, NY About Blog Gerry Dawes was awarded Spain's prestigious Premio Nacional de Gastronomía (National Gastronomy Award) in 2003. He writes and speaks frequently on Spanish wine and gastronomy and leads gastronomy, wine and cultural tours to Spain. Edinburgh About Blog Phil's Food World started as a way of encouraging people to cook, source produce responsibly and promote local producers. In January 2014, I began an MSc Gastronomy at Queen Margaret University, which has really allowed me to study food in greater depth, as well as visit many artisan food producers. Facebook fans 157. Twitter followers 1,262. Columbia, South Carolina, United States About Blog I love food and everything about it. I read cookbooks like most people read magazines. I rarely serve my family the same thing twice. Restaurants are my idea of a really good time. So, I'm going to start writing it down. About Blog This is The Gastronomer’s Diary. This diary contains narratives and images on the food expeditions the gastronomers have gone to. Although we are not official food experts, we are definitely food lovers. Lucknow, India About Blog Gastroutes is primarily a gastronomy tour company specialising in tours revolving around food from India. Be it the home cooked food, a fine dine experience, street food or historical food all of it excites us and we always wish to showcase these through our well-planned and curated tours through India. Facebook fans 17. Twitter followers 13. Singapore About Blog The main purpose for this blog (so far) will be my reviews and opinions of some of the best restaurants in the world that I've visited, in particular Michelin 2-star and 3-star establishments. 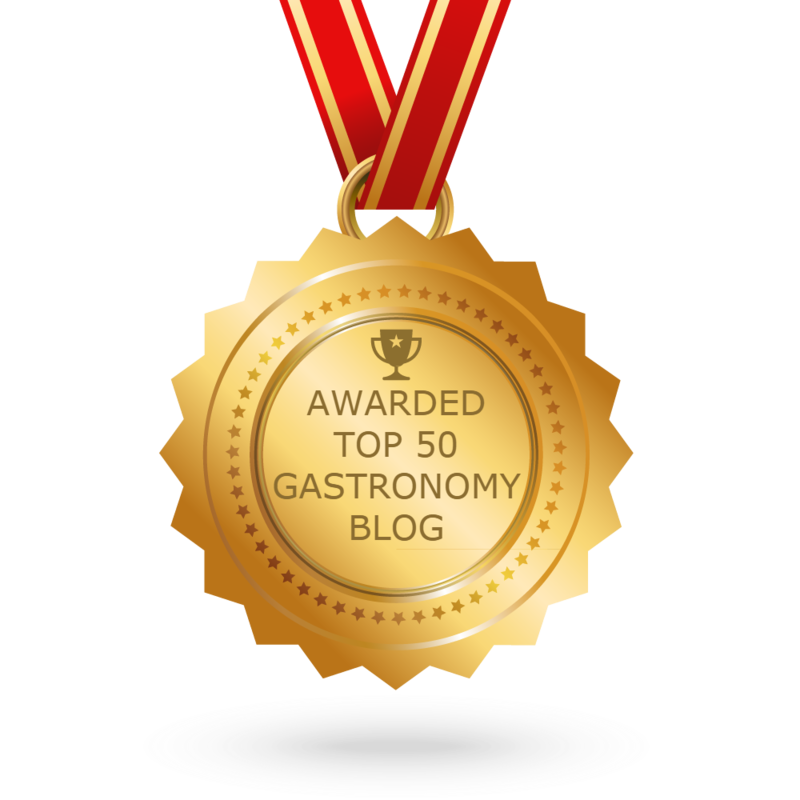 CONGRATULATIONS to every blogger that has made this Top Gastronomy Blogs list! This is the most comprehensive list of best Gastronomy blogs on the internet and I’m honoured to have you as part of this! I personally give you a high-five and want to thank you for your contribution to this world.